A North Side neighborhood has been rebranded as the center of the city’s craft beer scene. Last month, the Greater Ravenswood Chamber of Commerce announced its establishment of Malt Row, a nearly 2-mile stretch of breweries and one distillery in the North Side neighborhood. The Ravenswood Corridor is Chicago’s greatest concentration of microbreweries, according to a press release from the chamber of commerce. Between Foster Avenue and Irving Park Road, and bounded by Lincoln Avenue to the west and Ravenswood Avenue to the east, you’ll find Begyle Brewing Company, Dovetail Brewery, Half Acre Beer Co., Band of Bohemia, Empirical Brewery, Spiteful Brewing and KOVAL Distillery. “It’s really a perfect storm of things happening over the last 10-15 years,” said Dan Azzaro, a professional lecturer in marketing and advertising at DePaul University. Azzaro, who has lived in Ravenswood for 25 years, said he has seen the neighborhood transform from a manufacturing district into a local arts and crafts hub. Cheaper housing, the proximity of CTA Brown Line and Metra stops, and the availability of large buildings left behind by industrial companies allowed Malt Row to take root. The breweries are “building around the cool feel of the neighborhood,” Azzaro said. 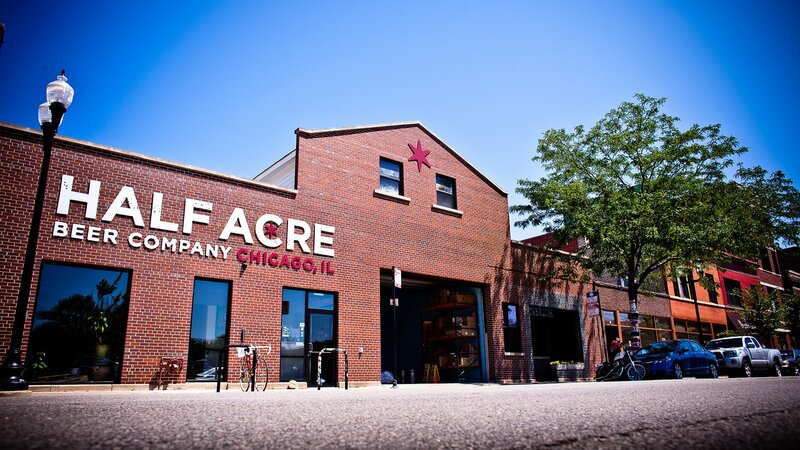 Half Acre Brewing Co., established in 2008, was the first of the six breweries to open. It’s sustained throughout the years thanks to support from neighbors and 47th Ward Ald. Ameya Pawar, and before him, Ald. Eugene Schulter, said the brewery’s Marketing Manager Meredith Anderson. Local support also comes from the breweries themselves. And if they run short on cardboard trays or canning equipment, there’s a brewery across the street to help, Anderson said. As for the name of the stretch, Azzaro said he would have gone with the word “hops,” but Malt Row still works. “Malt Row has something more of a classier thing [than Brewery Row], and Malt Row gets you more into the liquors as well,” he said. The newly designated corridor is a reflection of a national trend. Popularity in craft beer production across the U.S. has been growing, according to an annual release by the Brewers Association, the trade industry group for craft beer. The country’s craft beer production grew by 6 percent in 2016, and the nation’s craft beer market accounts for $23.5 billion of the overall beer market’s $107.6 billion. Although increasing, Azzaro said problems might arise when microbreweries start distributing. For example, Chicago’s Revolution Brewing and Half Acre Beer Co. have been circulating their beers out of state. The latter is also working on a new facility on 2050 W. Balmoral Ave. to expand its beer production, open a new restaurant and host more tours. “As they start to build that footprint with more and more growth, they’re going to deal with, ‘OK, how do we keep the excitement going?’” Azzaro said. Malt Row will also host hop-centric events over the summer, including the second annual Ravenswood on Tap Festival on June 24-25. Note: This story was updated June 6 to correct a quote by Meredith Anderson.